You’ve seen it in modern dining rooms, the offices of the best architects in London and pictured in magazines. In fact, you’ve probably seen this chair the more times than you can remember in all kinds of places. But what you might not realise, is that this chair isn’t just a popular design that has influenced design over the past 60 years, it is actually a design classic by Charles and Ray Eames, and it changed chair design forever. The plastic moulded chair may not be a surprise to us now, but back in 1951 this manufacturing method was a revelation. The plastic itself provides a comfortable back because it flexes, unlike wooden or metal chairs. The scoop of the chair and the rolled edging also create comfort. But the real joy of the moulded plastic is that it can be easily manufactured and reproduced. In fact, Herman Miller, who originally manufactured the chair, used this to their advantage and worked with the Eameses to create lots of subtle variations based on the original design. For example, after the original wooden leg design (DSW or Dining Side Wood), Charles and Ray created the wire version (DSR or Dining Side Rod), a much lighter chair used by the best architects in London. This version won the American mechanical design patent, a great accolade. Over the years, there have been many variations of the Eames side chair. To begin with, one of the main adaptations were the different types of legs. The original design came with a simple four legged base frame but very quickly other designs were developed. The Eiffel base, named for its signature look, gives the chair a more structured look that leads the eye downwards, giving the illusion of a lowered centre of gravity. The stacking base is also still very popular as the subtle wire handles makes separating stacked chairs easier. But the most popular base after all this time is still the wooden dowel-leg version. This version has become a popular dining chair and works really well with all kinds of different colours, only possible due to the plastic material. The bases aren’t the only difference between all of the variations. The same mould is used for the chair for efficiency, so that multiple frames can be made and later assigned to a base. It really is a master of design efficiency appreciated by the best architects in London. While the most obvious use for the Eames chair is as a dining chair, there are also ways to adapt it to suit different settings. For a start, the addition of rocker base makes this chair a great addition by the fire, especially if you follow the lead of artist Akira Ishikawa who wove knitted plaits through a mesh chair to make a softer base. Of course, Eames also thought of this and there are a few different padded designs too. While many of these designs still look very much like they were designed in the 60s (which they were!) they are also a good addition to any office, even the best architects in London. All it needs is a wheeled base to make moving around easy. Where do Eames Chairs Work? Unsurprisingly, given the longevity of the Eames chair and the variety available, these chairs will fit with most designs as long as you take into consideration your colour scheme and the other furniture that will complement it. 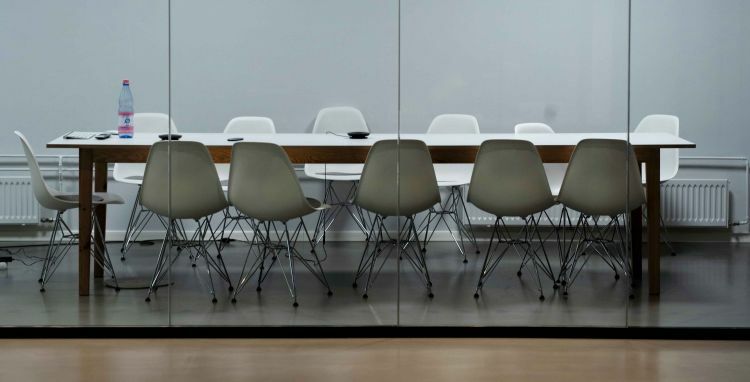 The white moulded plastic chair will fit with any minimalist design – it’s the chair we have in our meeting rooms – add the simple four leg design so that you can stack the chairs out of the way when they are not in use. If you are looking to add in more natural materials to soften your look, the wooden moulded chairs are a great option too. Similarly, the mesh versions of the chair work really well in an industrial setting too. Add the wooden rocker chairs for a little something different. This style can work really nicely in a living room but can also be a nice additional touch to your bedroom or bathroom. Wherever you put an Eames chair, you will bring a little bit of design history to your home or the office of the best architects in London. There are few products in history that are so iconic and last for so long. In fact, there are few products that hardly age at all but the Eames chair has managed that incredible feat. So, next time you aren’t sure what to choose, an Eames chair could be just the thing.